Draft: 2006, Philadelphia Phillies, 5th rd. He, his wife Priscilla and son Kameron Noah-LaMarque reside in San Diego, CA during the off-season...Selected by Atlanta in the 25th round of the June 2003 draft out of Morse High School in San Diego, where he was a teammate of OF Adam Jones, but he did not sign…Hit .419 (96-229) with 60 runs scored, 18 doubles, three triples, two home runs, 43 RBI and 18 stolen bases in 56 games as a sophomore at San Diego State University in 2005…Saw action in 59 games during his junior season at San Diego State University in 2006, batting .335 (80-239) with 61 runs scored, 13 doubles, four triples, five home runs, 35 RBI and 32 stolen bases. 1961...The last longer streak was Jacoby Ellsbury's first 25 stolen base attempts in 2007-08...Acquired from KC in a minor league trade on 8/27 for RHP Clayton Mortensen...Selected to BOS' active ML roster on 9/1 and made Red Sox debut that day vs. CWS...Went 2-for-2 with 2 RBI in 2 PA on 9/4 vs. DET after entering as a pinch-runner...Scored tying run on Stephen Drew's 2-out single in the 9th inning of an eventual 10-inning, 9-8 win on 9/5 @NYY...Made only ML start of the season in RF on the final day of the regular season, 9/29 @BAL...Knocked 1st homer of the season (3rd career) in the 2nd inning, a 2-run shot off Chris Tillman, and also had an infield single...Combined for 30 SB in 34 SBA (88.2%) in 100 games at the Triple-A level between DET's Toledo, KC's Omaha and BOS' Pawtucket...Began the year in the Tigers system and played 49 games for Toledo…Was successful on 11 consecutive SB attempts, 4/14-5/24...Claimed off waivers by KC on 6/4 and played 48 games at Omaha…DFA, 6/23, and outrighted on 6/25. Saw his first Major League action with the Tigers during the 2012 season -- tied for second among American Leaguerookies with 21 stolen bases...became the 13th rookie in Tigers history to steal 20-or-more bases. ... Tabbed the Detroit Sports Broadcasters Association Tigers Rookie of the Year. ... Assigned to Triple A Toledo to begin the season -- posted a 12-game hitting streak April 23-May 7, batting .354 (17x48). ... Had his contract purchased by the Tigers from Toledo on May 23 -- made his major league debut that night atCleveland, collecting a double off Zach McAllister for his first major league hit. ... Hit safely in each of his first six games May 23-28 -- became the first Tigers player since at least 1918 to hit safely ineach of his first six games to begin his major league career. ... Established a career high with five hits on June 17 versus Colorado -- according to the Elias Sports Bureau, he becamethe fifth Tigers rookie in the last 80 years to have a perfect day at the plate while collecting at least five hits...joined RedBorom (September 1, 1945), Jake Wood (August 8, 1961), Curtis Granderson (September 18, 2005) and AustinJackson (April 30, 2010) in accomplishing the feat. ... Collected a walk-off single in the 10th inning on June 21 versus St. Louis -- according to the Elias Sports Bureau, heis only the third club rookie to record a walk-off hit in the last 14 seasons...joined Carlos Pena (September 13, 2002)and Curtis Granderson (September 26, 2005) in accomplishing the feat. ... Belted his first major league home run on June 24 at Pittsburgh, a two-run shot off Kevin Correia in the first inning. ... Hit .268 (63x235) versus righthanded pitchers...batted .214 (12x56) with lefties on the mound. ... Batted .299 (43x144) in 42 games prior to the All-Star break...hit .218 (32x147) in 52 games following the all-star break. ... Hit .367 (22x60) with runners in scoring position ... Collected two hits and a stolen base in Game One of the American League Division Series on October 6 versusOakland, his postseason debut -- became the first Tigers player to collect at least two hits and a stolen base in hispost-season debut since Matty McIntyre did so in Game One of the World Series on October 10, 1908 versus theChicago Cubs. Released by the New York Mets organization on April 1 after being selected by the club from the San Diego Padres inthe minor league phase of the Rule 5 Draft during the off-season...signed by the Cincinnati Reds as a minor league freeagent on April 21, 2011...Assigned to Double A Carolina by the Reds -- led the Southern League with 40 stolen bases, while he finished fourthwith a .399 on-base percentage...Collected a season-high four hits on May 20 versus Chattanooga...Batted .320 (31x97) in 26 games during May...Sidelined June 22-29 with a left hand contusion...Compiled a 15-game hitting streak August 9-24, batting .383 (23x60)...Hit .337 (34x101) in 28 games during August...Had his contract transferred from Carolina to Triple A Louisville on September 1. Assigned to Double A Reading by the Philadelphia Phillies to begin the 2010 season...Sidelined April 12-30 with a viral infection...Tabbed the Eastern League Player of the Week for June 7-13 -- batted .500 (8x16) with a double, home run, five RBIand four stolen bases in five games during the week...Claimed off waivers by San Diego from Philadelphia on July 14 -- assigned to Double A San Antonio by the Padres. October 24, 2018 Scranton/Wilkes-Barre RailRiders released RF Quintin Berry. August 27, 2018 New York Yankees signed free agent RF Quintin Berry to a minor league contract. 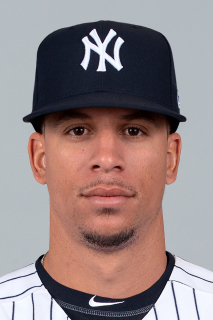 August 27, 2018 RF Quintin Berry assigned to Scranton/Wilkes-Barre RailRiders. August 23, 2018 Colorado Springs Sky Sox released RF Quintin Berry. July 28, 2018 Colorado Springs Sky Sox activated RF Quintin Berry from the 7-day disabled list. July 20, 2018 Colorado Springs Sky Sox placed RF Quintin Berry on the 7-day disabled list. June 23, 2018 RF Quintin Berry assigned to Colorado Springs Sky Sox. May 26, 2018 RF Quintin Berry assigned to Helena Brewers from Colorado Springs Sky Sox. May 20, 2018 Colorado Springs Sky Sox activated RF Quintin Berry from the 7-day disabled list. May 12, 2018 Colorado Springs Sky Sox placed RF Quintin Berry on the 7-day disabled list. May 1, 2018 RF Quintin Berry assigned to Colorado Springs Sky Sox from Helena Brewers. April 22, 2018 CF Quintin Berry assigned to Helena Brewers from Biloxi Shuckers. April 18, 2018 CF Quintin Berry assigned to Biloxi Shuckers from Colorado Springs Sky Sox. April 9, 2018 CF Quintin Berry assigned to Colorado Springs Sky Sox from Helena Brewers. April 5, 2018 CF Quintin Berry assigned to Helena Brewers from Colorado Springs Sky Sox. February 12, 2018 Milwaukee Brewers signed free agent CF Quintin Berry to a minor league contract. February 12, 2018 CF Quintin Berry assigned to Colorado Springs Sky Sox. November 2, 2017 CF Quintin Berry elected free agency. November 1, 2017 Milwaukee Brewers sent CF Quintin Berry outright to Colorado Springs Sky Sox. September 5, 2017 Milwaukee Brewers selected the contract of CF Quintin Berry from Colorado Springs Sky Sox. August 19, 2017 Milwaukee Brewers signed OF Quintin Berry. August 19, 2017 CF Quintin Berry assigned to Colorado Springs Sky Sox. May 9, 2017 Rochester Red Wings released OF Quintin Berry. March 12, 2017 OF Quintin Berry assigned to Minnesota Twins. February 13, 2017 OF Quintin Berry assigned to Rochester Red Wings. February 8, 2017 Minnesota Twins signed free agent OF Quintin Berry to a minor league contract. September 7, 2016 Buffalo Bisons released OF Quintin Berry. September 1, 2016 OF Quintin Berry assigned to Buffalo Bisons. August 31, 2016 Toronto Blue Jays signed free agent OF Quintin Berry to a minor league contract. August 18, 2016 Salt Lake Bees released LF Quintin Berry. February 2, 2016 LF Quintin Berry assigned to Salt Lake Bees. December 2, 2015 Los Angeles Angels signed free agent LF Quintin Berry to a minor league contract and invited him to spring training. October 27, 2015 LF Quintin Berry elected free agency. October 17, 2015 Chicago Cubs activated LF Quintin Berry. October 9, 2015 Chicago Cubs reassigned LF Quintin Berry to the minor leagues. September 1, 2015 Chicago Cubs selected the contract of LF Quintin Berry from Iowa Cubs. August 24, 2015 Chicago Cubs signed free agent LF Quintin Berry to a minor league contract. August 24, 2015 LF Quintin Berry assigned to Iowa Cubs. August 21, 2015 Pawtucket Red Sox released LF Quintin Berry. February 1, 2015 LF Quintin Berry assigned to Pawtucket Red Sox. January 21, 2015 Boston Red Sox signed free agent LF Quintin Berry to a minor league contract and invited him to spring training. December 23, 2014 Baltimore Orioles released LF Quintin Berry. October 17, 2014 Baltimore Orioles activated LF Quintin Berry. October 2, 2014 Baltimore Orioles reassigned LF Quintin Berry to the minor leagues. September 2, 2014 Baltimore Orioles selected the contract of LF Quintin Berry from Norfolk Tides. March 28, 2014 LF Quintin Berry assigned to Norfolk Tides. January 3, 2014 Baltimore Orioles signed free agent LF Quintin Berry to a minor league contract and invited him to spring training. November 4, 2013 LF Quintin Berry elected free agency. September 1, 2013 Boston Red Sox selected the contract of LF Quintin Berry from Pawtucket Red Sox. August 29, 2013 Quintin Berry assigned to Pawtucket Red Sox. August 27, 2013 Kansas City Royals traded LF Quintin Berry to Boston Red Sox for RHP Clayton Mortensen. August 26, 2013 LF Quintin Berry roster status changed by Omaha Storm Chasers. June 25, 2013 Kansas City Royals sent Quintin Berry outright to Omaha Storm Chasers. June 23, 2013 Kansas City Royals designated Quintin Berry for assignment. June 4, 2013 Kansas City Royals claimed LF Quintin Berry off waivers from Detroit Tigers. June 2, 2013 Detroit Tigers designated Quintin Berry for assignment. March 27, 2013 Detroit Tigers optioned LF Quintin Berry to Toledo Mud Hens. May 23, 2012 Detroit Tigers selected the contract of Quintin Berry from Toledo Mud Hens. January 10, 2012 Detroit Tigers invited non-roster CF Quintin Berry to spring training. November 9, 2011 Toledo Mud Hens signed free agent Quintin Berry. November 2, 2011 CF Quintin Berry elected free agency. September 1, 2011 CF Quintin Berry assigned to Louisville Bats from Carolina Mudcats. June 29, 2011 Quintin Berry roster status changed by Carolina Mudcats. April 24, 2011 CF Quintin Berry assigned to Carolina Mudcats. April 21, 2011 Cincinnati Reds signed free agent CF Quintin Berry to a minor league contract. April 1, 2011 Binghamton Mets released CF Quintin Berry. December 9, 2010 Binghamton Mets claimed CF Quintin Berry off waivers from San Antonio Missions. August 5, 2010 San Diego Padres sent Quintin Berry outright to San Antonio Missions. July 31, 2010 San Antonio Missions designated Quintin Berry for assignment. July 31, 2010 San Diego Padres designated Quintin Berry for assignment. July 15, 2010 Quintin Berry assigned to San Antonio Missions from San Diego Padres. July 14, 2010 San Diego Padres claimed CF Quintin Berry off waivers from Philadelphia Phillies. July 14, 2010 San Diego Padres optioned Quintin Berry to San Antonio Missions. July 8, 2010 Philadelphia Phillies designated Quintin Berry for assignment. April 30, 2010 Reading Phillies activated CF Quintin Berry from the 7-day disabled list. April 2, 2010 CF Quintin Berry assigned to Reading Phillies from Lehigh Valley IronPigs. March 15, 2010 Philadelphia Phillies optioned Quintin Berry to Lehigh Valley IronPigs. November 17, 2009 Philadelphia Phillies selected the contract of Quintin Berry from Reading Phillies. November 11, 2009 OF Quintin Berry assigned to Criollos de Caguas. June 8, 2006 Philadelphia Phillies signed OF Quintin Berry.